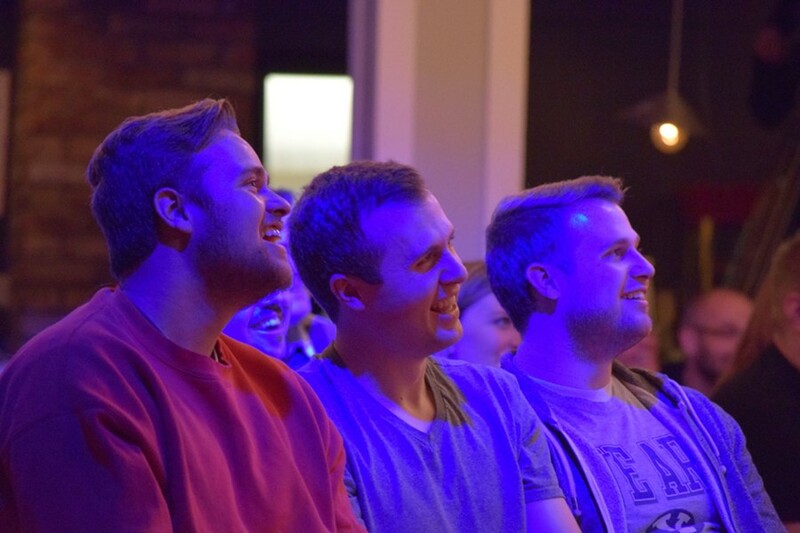 Examining the new "clean comedy" shows happening in Provo. 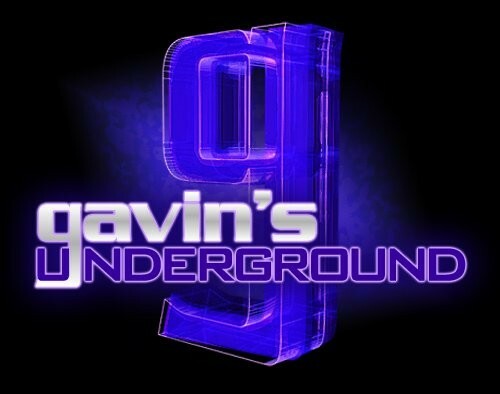 Gavin: First off, tell us a little bit about yourself. Neal: I was born in Idaho and grew up the third of nine children. We grew up “poor” by American standards, but we were very happy. All of us have grown up to become entrepreneurs, and my brothers and I started VidAngel to solve a problem for our own families. My wife and I have seven children; number eight is almost here. What first got you involved with local entertainment, and what jobs did you start with? I’ve had the opposite experience of most folks in entertainment. I first got involved in entertainment nationally through our VidAngel app, and then locally when we started Dry Bar Comedy. When the series is finished, it will be distributed nationally, so it’s a fun mix of "Provo meets the world." 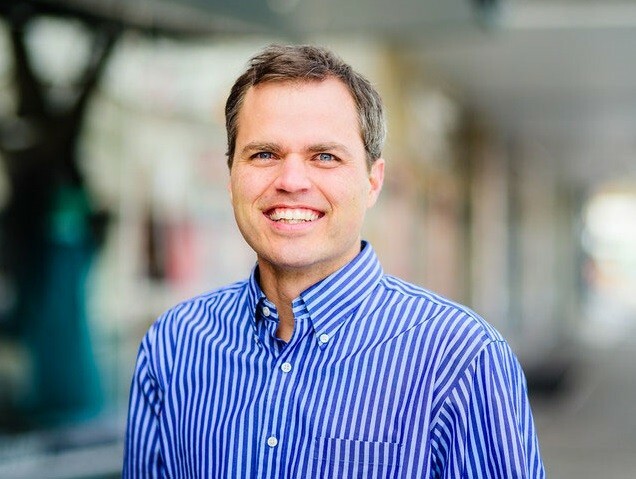 What was it like launching VidAngel and building the company? I loved starting this company with my brothers because of the problem it solves for our own families. I’ve also loved the sort of people that have joined us to help—the best team, customers and investors I’ve ever had the privilege of working with. It’s been so amazing to see the outpouring of response and support from our fans. They don’t just use VidAngel, they love it. Last year the company was ordered by the courts to stop editing movies. What's the status on your end? We’re continuing the legal battle. Our next big date is a hearing on June 8 before the Ninth Circuit Court of Appeals in Pasadena, Calif. We are also working with leaders on Capitol Hill who are seeking a legislative solution. We don’t know how we will win, but we know we will win. Shortly after that, it was announced you'd start airing original programming. How did the idea for Dry Bar Comedy come about? VidAngel has always been marketed with a sense of humor, so you could say that comedy is at our core. When we looked at getting into original content, we wanted to do something we could do with excellence, and also something we loved. Family-friendly stand up comedy checked all of those boxes, and we knew that VidAngel could innovate in the space. What made you choose the former Madison building as your location? Years ago, while perusing StartFest in Provo, I attended an event at the Madison. I don’t remember the speaker, but I remember entering that old building, seeing the balcony and stage, and saying to myself, “This is in Provo?” Even though it was dark and a mess, I felt drawn to the building. Last year, when we were outgrowing our offices and looking for a new place for VidAngel, we got the building through a series of serendipitous events before it ever hit the market. We totally remodeled the place and it has made the perfect home for VidAngel Studios (both for shooting the Dry Bar Comedy series and for future content we’ll produce there). How do you go about choosing the comedians you'll have on the program? 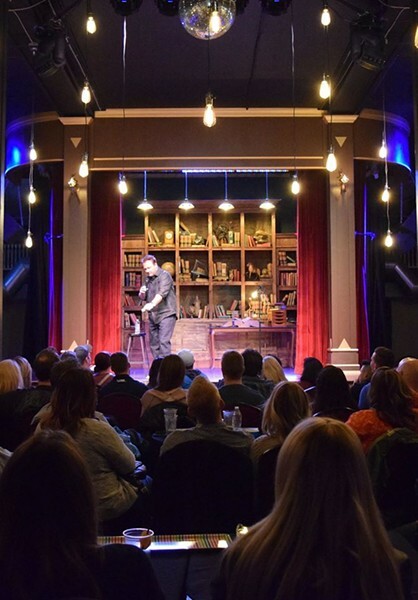 We partnered with Wiseguys in SLC to find comedians who had enough clean material to do a family show. Working with Wiseguys has been great for both of us because we’re able to attract a higher caliber of comedy talent together. What has the response been like from patrons, viewers and the comedians involved? We’ve been overwhelmed by the response. Our shows are nearly always sold out with lines down the street, and people watching Dry Bar on our system are giving us great feedback. Comedians love Dry Bar because they can earn more per view than on any other platform in the world. You're offering some of the shows online to watch for free. Are you planning to make every special free, or is it specific shows with specific comedians right now? We have not officially launched the Dry Bar Comedy series yet. When you saw the specials on our site for free, we were conducting a test. They are not free at the moment. We are currently conducting a test for rentals, and will soon test a subscription model. After accruing all this data, we will be able to choose the model we’ll use to launch the series officially. Are you looking to make this a new comedy spot in Provo as time goes on, or is this simply a weekend thing primarily for the show? Our vision is that Provo (and VidAngel Studios) becomes the global hotspot for family-friendly entertainment, beginning with comedy. Where do you hope to take the show over the next few months as it continues to grow? Our quality of talent is getting better and better. 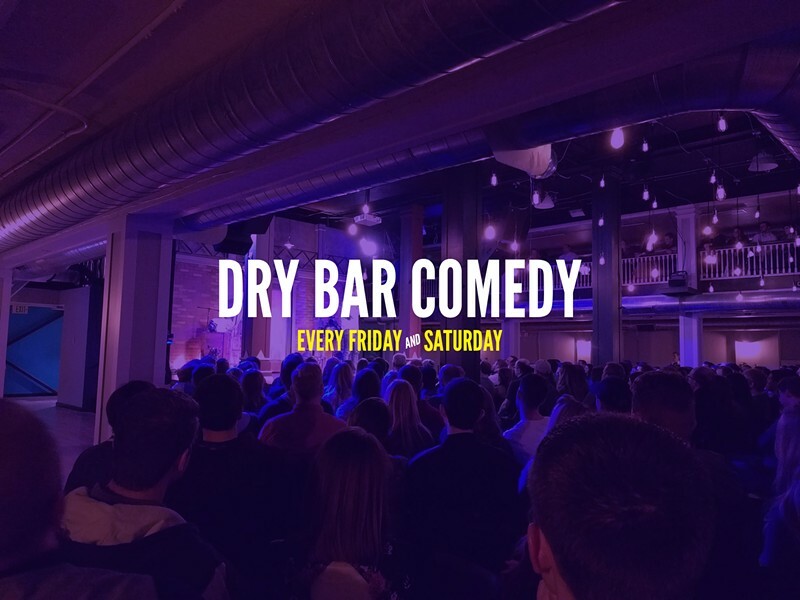 We look forward to the day when Tim Hawkins and Jerry Seinfeld reach out to do Dry Bar because it’s become the place to be. What can we expect from Dry Bar Comedy over the rest of 2017? 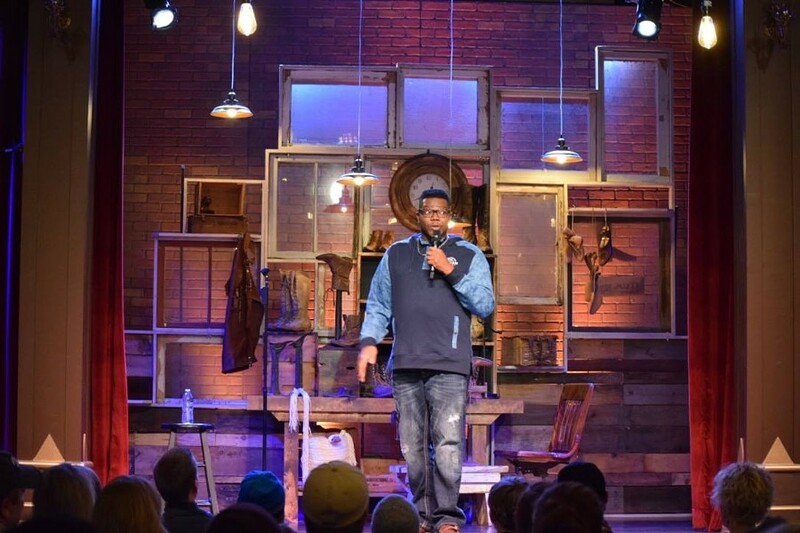 We will be completing more than 100 tapings of 52 comedians on April 29 as the close to our first season. Please join us for the last shows. We’re planning Season 2 right now.